- A New Type of Shoot?Em Up: Dimension Drive is a Dual-Battlefield vertical Shoot?Em Up with a focus on smart, quick teleporting. - Clever Mix of Three Mechanics: A seamless combination of levels focusing on strategic shooting, fast puzzling and frantic defense make the core of Dimension Drive an exciting and varied one. - 2 Wars at Once: Multitask and teleport to single-handedly fight in two shoot'em up levels at the same time. - 4 Game Modes: Arcade, Modern, Pacifism and 1 Credit Clear all force you to approach the game in different ways and add replay value! - Comic Book Style: Experience the story of Jack Tywood through gorgeous, dynamic motion comics fitting the cel-shaded style and visual "pop" of the main game. 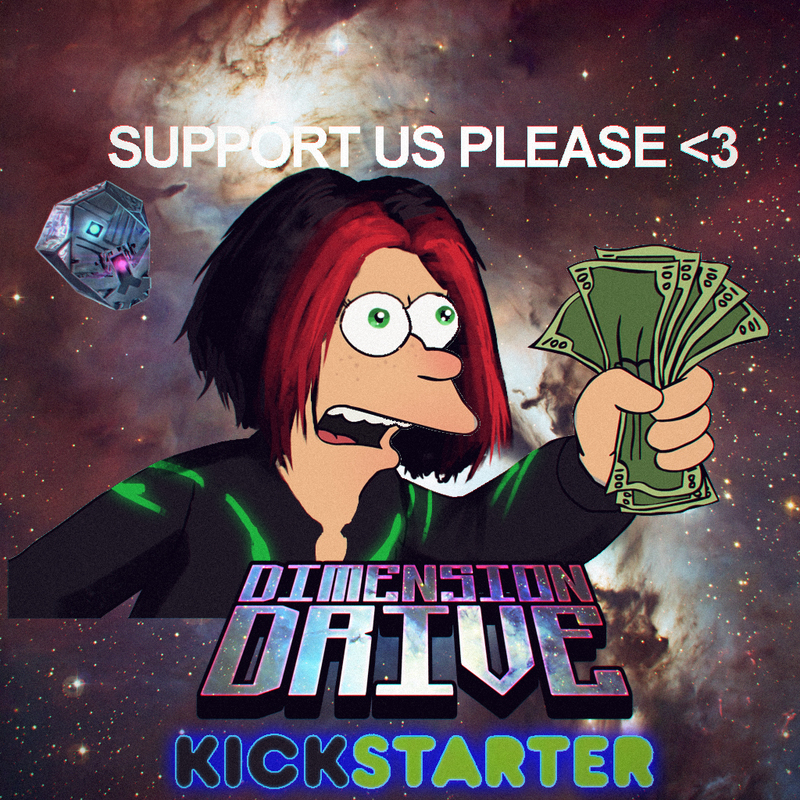 In Dimension Drive, video games meet comics. Who said space was just black? - Energy Management: The Manticore is powered by Dimension Drive energy. Carefully decide when and where to teleport while in the midst of combat. - Advanced Scoring System: Shoot'em up fans and genre newcomers alike will enjoy our unique scoring system that rewards you for playing truly well, rather than simply shooting enemies. - Teleportation! : We've said that already, right? It's what makes our game really unique! No? Okay then--Teleportation! Last edited by Stilghar on Sun Apr 26, 2015 10:12 am, edited 4 times in total. Last edited by Stilghar on Sun Apr 26, 2015 10:17 am, edited 1 time in total. I personally enjoyed playing Arcade mode, but then again I'm old school like that. Either way, I think you've found an neat way to make use of all that horizontal screen space. Thanks for sharing our Kickstarter! Good luck with your kickstarter, I hope you make it!